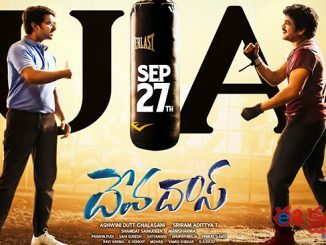 Young hero Raj Tarun and Amyra Dastur starrer ‘Raju Gadu’ has completed the censor formalities and got ‘U/A’ certificate. The film is all set for a grand release on June 1st. The pre-release event of ‘Raju Gadu’ will be held on May 29th in Hyderabad. Sanjana Reddy is getting introduced as director with this flick which is touted to be a hilarious comedy entertainer.